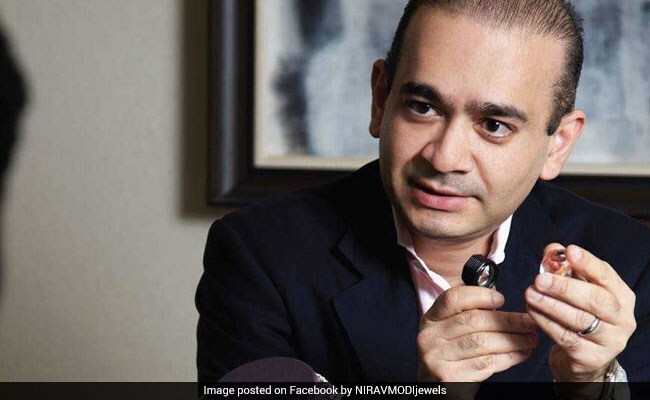 Nirav Modi gave his response today before an anti-corruption court that is hearing a case filed by the Enforcement Directorate to have him declared a "fugitive economic offender"
Fugitive businessman Nirav Modi, who is wanted in India for alleged financial fraud running into thousands of crores, said the transactions he made with Punjab National Bank or PNB were "civil transactions". He gave his response today before an anti-corruption court that is hearing a case filed by the Enforcement Directorate to have him declared a "fugitive economic offender" under the Fugitive Economic Offenders Act, 2018. Nirav Modi said he has done nothing wrong. The alleged scam was a "civil transaction" that is being blown out of proportion, he said in his reply. He said he is unable to come to India due to security reasons. Nirav Modi and his uncle Mehul Choksi are wanted for loan default worth Rs 13,000 crore. They have not come to India despite repeated summons. Nirav Modi is believed to be in London while Mehul Choksi is living Antigua and Barbuda in the Caribbean. India is trying to secure their extradition. In December, global police body Interpol issued a red corner notice against Mehul Choksi. The Interpol arrest warrant came on a CBI request. India wants to bring Mr Choksi from Antigua under the provision of a law of the island nation, which provides for extradition of a fugitive to a designated Commonwealth country, official sources said. The government issued a gazette notification on August 3 last year to make the Antiguan law enforceable and bring back Mr Choksi. India and Antigua do not have a bilateral extradition pact. The Debt Recovery Tribunal last month sent notice to Nirav Modi, his family members and his companies to recover over Rs 7,000 crore in dues.